Working in the space we do, means a lot of talk about the future. People in our field are not just thinking about the future in terms of the next few years, but looking decades ahead. Moreover, often when we talk about our industry to the general public, they want to know when the robot apocalypse is coming and what to do about it. So we were pretty chuffed were the Royal Society of Victoria invited us to be apart of the National Science Week event Humans 2.0. The evening full of scientist, futurists and technologists presenting, exhibiting, attending and most importantly talking about what the future means for humans. 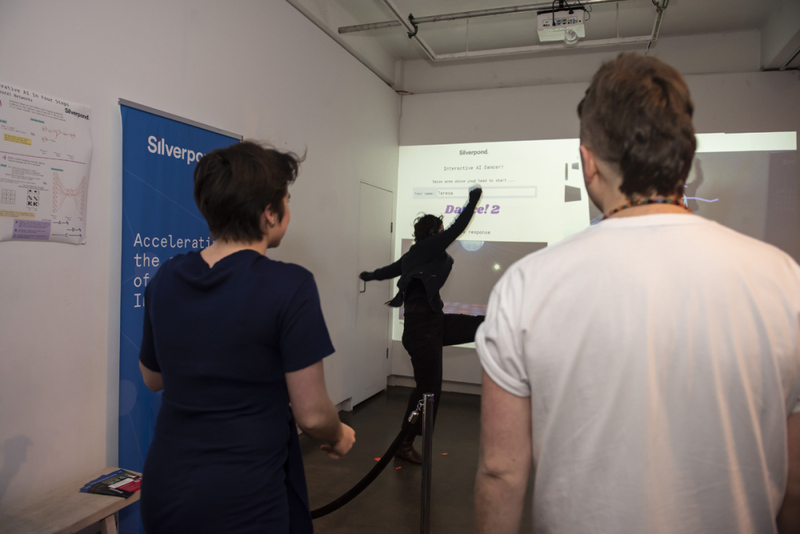 We were involved in two ways in the night, exhibiting our AI Deep Dance Generator and as storytellers, introducing the concept of AI solving the meaning of life. Noon has been developing a Deep Dance Generator for a while now (which you may remember from this post: Deep Dance Smackdown: The Dances). 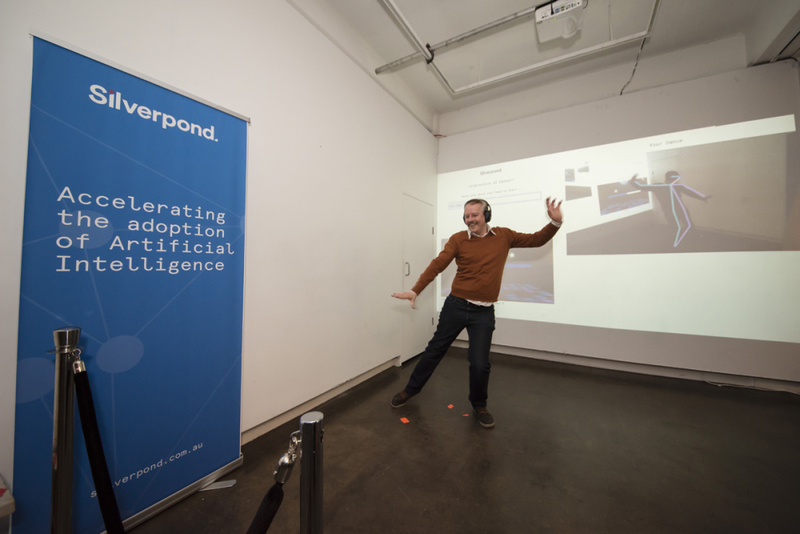 Inspired by the idea of dancing off with a robot, he currently has the program at the stage of dancing off with AI in 2D form. The human dances for 8 seconds in front of the camera. 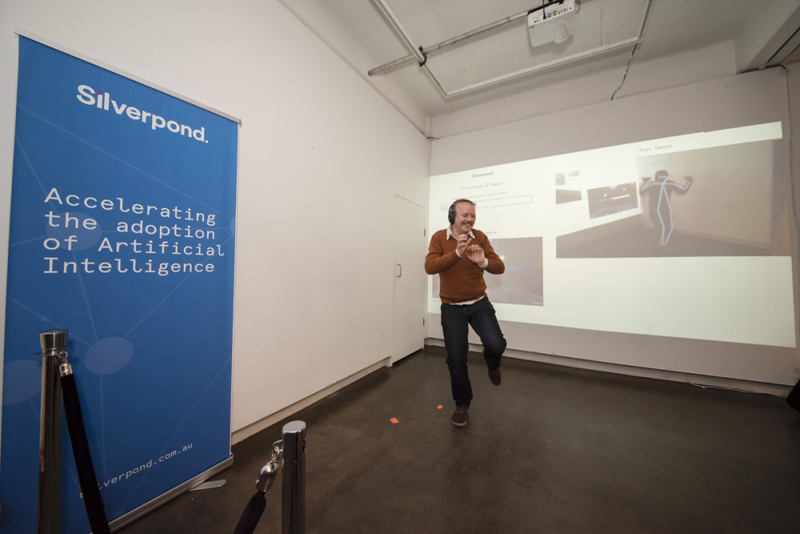 Pose (The colourful stick figures) captures the movements of the dance which is sent to the Deep Dance Algorithm. 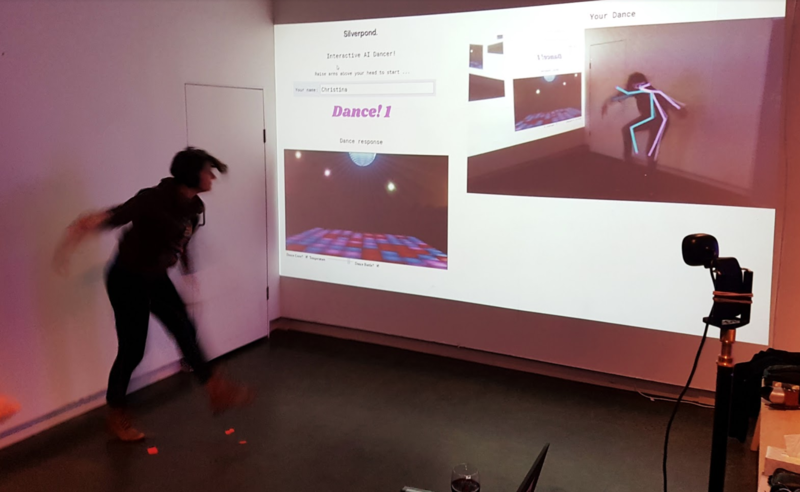 The algorithm takes the dance by the human and reinterprets it based on its understanding of dance- which came from the 50 + videos of Zumba videos it was trained on. We were super impressed with the sweet moves on the night… this crowd sure knew how to dance! I also did a talk and was given some pretty cool guidelines- Give some context of AI today, and imagine what part AI could play in the future. I am quite excited about the ways that AI can help us understand more about being Human… so why not dream up a world where AI answers the big question humans have been pondering for thousands of years… What is the meaning of life. There was a lot of room for creativity so I proposed a world where AI could be trained to give the meaning of life. Essentially the algorithm would be trained on philosophy, religion, Monty Python and more and hyper personalised so that you trot down to your local Oprah Robot and get your own personalised meaning to life. We had a lot of fun, and enjoyed getting around the other exhibits and hearing what else is in store for us as humans in the future. 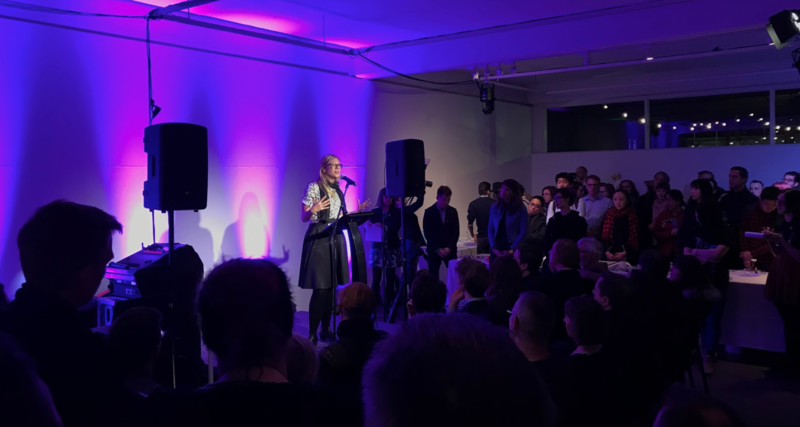 Big thanks to Renee Beale from Royal Society of Victoria for a curating a fun, crazy and inspiring night, all the other speakers and exhibitors and all the people who came along to dance with us!